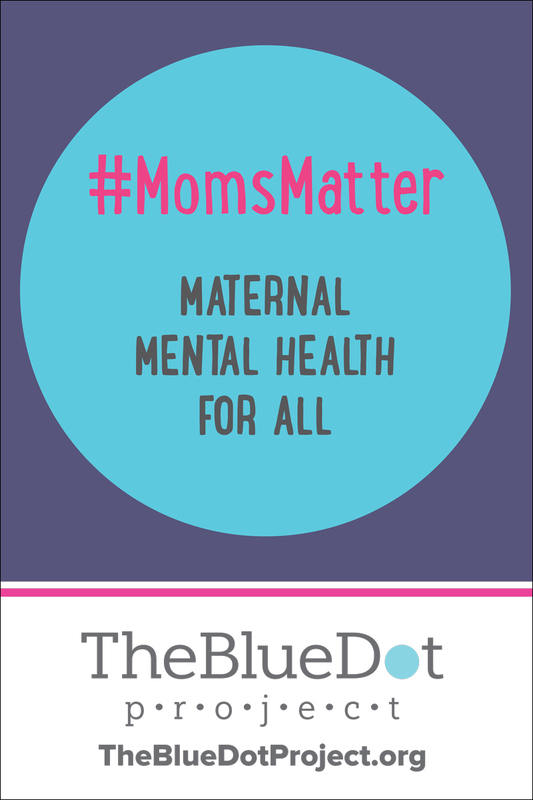 Show your support for maternal mental health awareness. Get your own BlueDot magnets and stickers to display on your car, your laptop, in a window or at your office. BlueDot Magnets are 4" x 4" and feature a strong magnetic material that helps them stay flat so they are aerodynamic and can securely stay on cars when traveling, even in wet weather. BlueDot Stickers are 4" x 4" and are made from a durable vinyl with a laminate that protects the stickers from scratches, water and sunlight. Use these at awareness walks, lobby days, maternal mental health month events and more. These materials can be downloaded at no cost to print on your printer, or to order from your favorite printer. Download to print on your printer. Download to order through your favorite printer.